Don't miss the latest happenings out of Pontedilegno - Tonale, including new lifts, terrain expansions, weather, photo galleries, infographics and current events skiers and mountain travelers should know about. 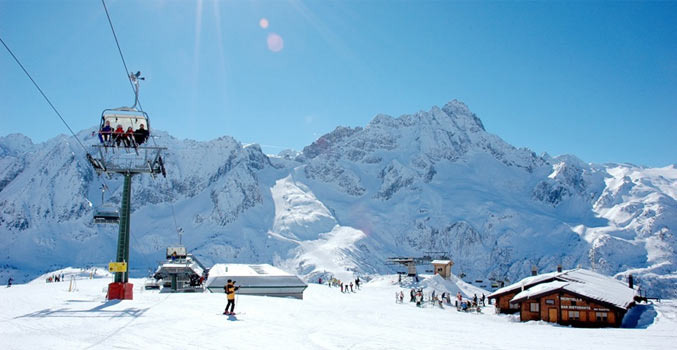 Stay up-to-date on Pontedilegno - Tonale news and events by clicking on articles from the list below or page through to see coverage from the entire ski season. A terrific combination of glacier skiing and indoor slopes offer plenty of year-round options for those not satisfied with one season on skis and snowboards. Europe boasts numerous glaciers throughout Austria, France, Switzerland, and Italy, with terrain for beginners, intermediates, and experts. The start of the winter season in the Alps couldn't have been any better with many resorts throughout the region reporting record snowfalls. Get Snow Reports, Powder Alerts & Powder Forecasts from Pontedilegno - Tonale straight to your inbox!